Your business is in food, and maybe drink too. You might be marketing a tasty food brand to trade or shoppers. Perhaps you’re launching or promoting a restaurant. You could also be a farmer or crop association who wants to market your fresh produce. You know you have a great offer and a good story to tell to the right people. But marketing is only one of the many hats you wear every day. You may not even have a marketing team to work with. That’s where we can help. We support people like you who want to reach the right people with the stories about their product. We work alongside you to ensure that you get heard and have the results to show for all your hard work.  PamLloyd Food Marketing and PR is a food and drink business. We are not distracted by projects outside our niche. We work solely on food and drink campaigns. We believe in changing people’s attitudes and behaviour to food and drink products and services for the better. Whether you’re a restaurant, a grower, a food or drink producer, you want people in your neighbourhood – locally, regionally or nationally – to hear your story. You want a dedicated bunch of food obsessives (that’s us) who will care about your product as much as you do. You’re happy that we care enough to have strong opinions (a few of them) and you welcome shaping the plan of action together. If we sound like the right people to have on your side, click here for examples of the challenges we can work with you to get sorted.